It’s amazing to think that had circumstances been different, the western world might have developed its road transport around electric engines rather than fossil fuels. That’s one of the key points made by “A Most Deliberate Swindle“, by Mick Hamer – the tale of the London Electrobus company, which pioneered the use of electric buses in London in the early 1900s. I was sent a preview copy — it’s being released later this week. It’s an interesting story, and is really both a book about Edwardian-era fraud, and transport. I confess the latter is of more interest to me, so I have to admit I skimmed a little bit over the background story of the some personalities involved: a mix of gentlemen who spotted what was essentially a worthwhile venture, a viable electric battery bus, and used it to fleece shareholders out of their money. As it turns out, a major contributor to the buses being reliable enough for service was the batteries, and part of the story relates to how the Electrobus company’s management fooled the American inventors into handing over the technology. And yes, for a time, the electric bus service was successful and popular with passengers, thanks in part to a smoother quieter ride, which also made them popular with local residents. The idea unravelled thanks to the scammers being more interested in making money by cheating people than selling electric vehicles and running electric buses. 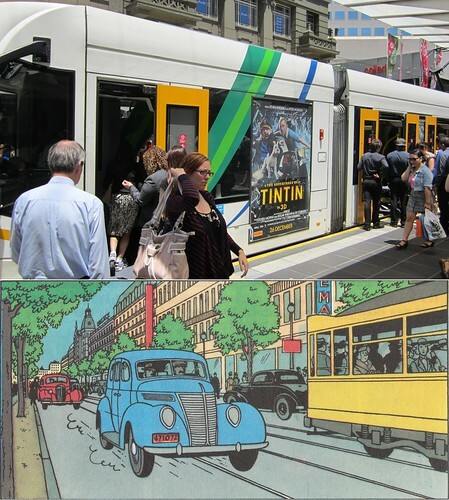 The real sting in the tale is towards the end of the book, when author Hamer points out that 20th century motor vehicles ended up being mostly petrol powered because the technology happened to be ready for prime time, cheap enough and reliable enough, at just the right juncture. It gained momentum, and like VHS winning over the technically superior Beta, became dominant. So but for chance, it could have been electric vehicles instead that dominated during the 20th century, certainly for buses, but also for other service vehicles and even private cars. London as a city in many ways holds enormous influence, particularly around the Commonwealth, but also farther afield. If electric vehicles had taken off in Britain in the 1900s, then right across the world, issues such as city air quality and lead poisoning from cars might be much less of a problem than they were and are — particularly now, when more electricity generation is being moved to clean sources of power. Today, Tesla and others are pushing electric cars, and while they won’t solve traffic congestion, they are certainly advancing the technology. In the last year or two, numerous countries have announced the phase-out of petrol and diesel cars. And yes, there’s a push for electric buses too — they’re being promoted by local companies and campaigns — here in Melbourne, PT Not Traffic have a campaign for electric buses on inner-city routes. There’s plenty of detail in the book, and one thing that struck me was the names of the companies (both real and fraudulent), which back in those days certainly told you what the company did (or at least claimed to do). These days they’re a lot more abstract than some of those in the book: “The London Electrobus Company”, “The Electric Tramways Construction and Maintenance Company”, or the “Gould Storage Battery Company Limited”. It’s a good read, and worth a look. It’s due out this Thursday 28th September. In the days before home video, we had to resort to other means to re-live movies and TV shows. Novelisations of productions were common. I knew people who had hundreds of Doctor Who novelisations — virtually every story had a book published. I had perhaps a dozen. Other books made it into publication — scripts, programme guides, and spin-off material. Of course these are still common, but perhaps only for specific “cult” titles that the makers think will sell really well. I used to have the script for The Singing Detective. At home I still have two books from The Goodies, which have a wealth of quite amusing material. I didn’t bought them, but acquired them both from the primary school library during clear-outs. In the 80s before I had saved up for a VCR, I recorded some stuff onto audio… from memory by just putting a tape recorder close to the TV, though I may have later rigged up a cord connecting the two directly. The Young Ones was an example — I had most episodes on cassette, and listened to them regularly for a while. 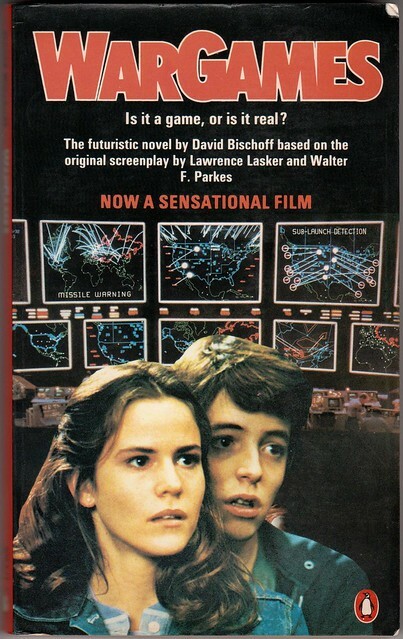 One of the movies I bought the novelisation of back in the day was WarGames, which as I’ve written about before, was very influential on me. As I recall it follows the movie script closely, but has a few extra titbits: such as that after the movie ends, David gets a summer job doing computer work at NORAD, and his school is convinced to buy some computers to teach computer studies to the students. I don’t know what happened to my copy of the book. Presumably I got rid of it during a house move at some point. So in the best traditions of nostalgia, when I got curious and looked on eBay the other week, I found a copy for under $10, and bought it again. I still love the movie. I bought the 25th anniversary Blu-ray release recently as well — it looks great in high-definition. I’ll probably re-read the book at some stage. It’s only 220 pages — it’ll be a pretty quick read I’m sure. Nowadays, people can record anything off TV easily using cheap technology, and perhaps every major TV show and movie is released on DVD and/or Blu-ray, and (eventually) repeated ad infinitum on one of the many TV channels. No wonder novelisations have mostly disappeared, and few people record audio off the TV anymore. 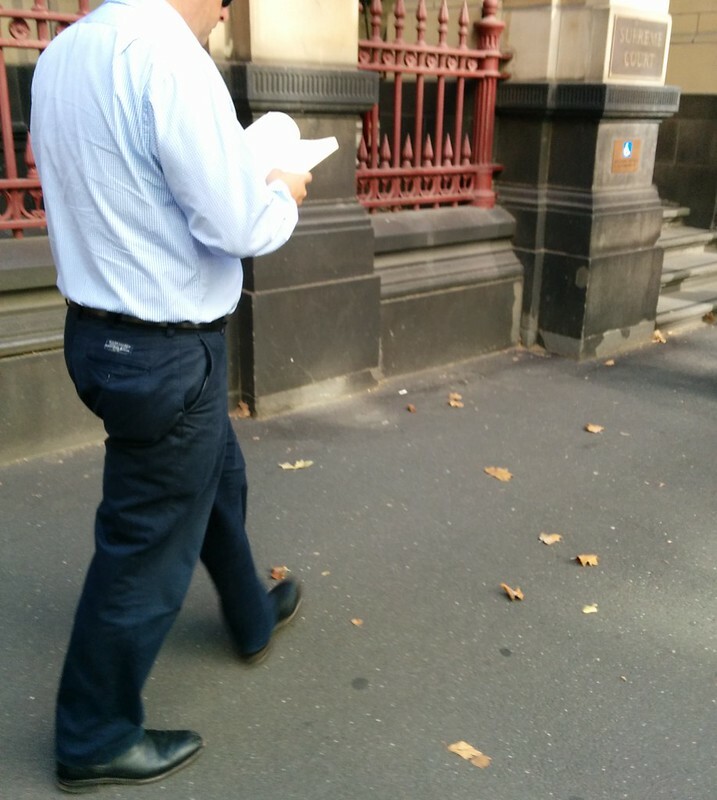 These days, some people are so addicted to their portable reading devices that they barely look where they’re going. I finished reading The Slap. Great book, provided you don’t mind a little fruity language and adult themes in your novels. Looking forward now to the TV adaption. I was just thinking the other day that despite seeing a lot of possums around the neighbourhood, I never heard them in the roof. Then when I was taking a look in the roof over the Easter break, I noticed a small hole, near the front of the house. And the other night, I heard a possum scampering around up there. D’oh. I meant to post this a while back, but better late than never. I reckon these guys have a good point. FORMULA one boss Bernie Ecclestone has said that he and Ron Walker now agree that the grand prix “should not have been run at the Albert Park street circuit”, and that “Melbourne should have constructed a purpose-built track for the race years ago” (Sport, 17/3). Save Albert Park has maintained exactly that since 1994. A key slogan was ”Relocate (to a permanent track), don’t desecrate (Albert Park Reserve)”. If our group had been listened to rather than being maligned or ignored by successive Victorian governments, the state would now have a profitable permanent track and associated facilities given year-round use for motor sport activities, driver training, and testing of automotive products. The state would have saved the hundreds of million of dollars now wasted on set-up and take-down of the temporary Albert Park circuit, and we would have a circuit capable of being modified to meet the changing requirements of F1 racing, such as increased overtaking opportunities.